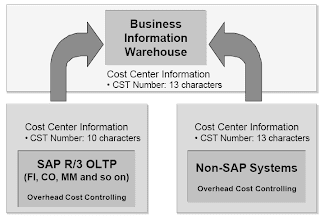 Business Content, delivered by SAP, reduces the work involved in configuring your BW system. 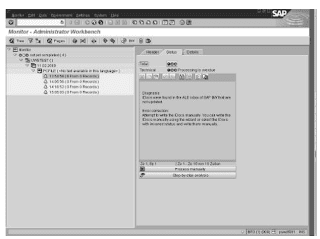 The Administrator Workbench activates the SAP Business Content. All systems that provide the SAP Business Information Warehouse with data are referred to as source systems.An interface with the BW system must be maintained for each source system. 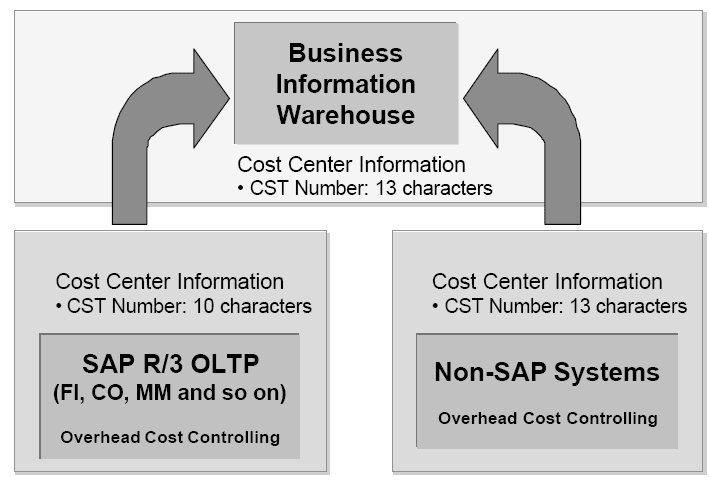 SAP R/3 source systems (from Release 3.1I), mySAP components ALE (Application Link Enabling) and/or tRFC (Transactional Remote Function Call) External systems, SAP R/2 and SAP R/3 Releases earlier than 3.1I. Data from SAP R/3 (from Release 3.1I) and from mySAP components, is extracted using the extractors delivered with Business Content, and loaded into BW. Data from SAP R/2 and R/3 (earlier than Release 3.1I) and data from non-SAP source systems, is extracted using third-party tools. Data from flat files is loaded into BW using a file interface. InfoObject is the generic term for all business objects, such as customer, product, region, sales, head count and so on.As part of the BW Metadata Repository, InfoObjects include a technical definition as well as business logic.InfoObjects are used across the whole BW system (an InfoSource is a collection of InfoObjects). InfoObjects are either key figures or characteristics. Special characteristics are time and unit. SAP InfoObjects start with the 0. Customer-defined InfoObjects start with a letter from A to Z.
SAP source system have thirteen characters. The different ways the cost centers are displayed in the two source systems have to be homogenized, before you are able to report on all the cost centers in your company. In this case, the cost centers with ten characters that have come from the R/3 system have to be lengthened by three characters. To do this, you have to create a Cost Center InfoObject. Data extraction takes place in two components: the DataSource and the InfoSource.DataSources include extraction source structures and transfer structures. Data is staged in the extraction source structure and the transfer structure, and transferred into the BW system by ALE or tRFC.An InfoSource is a set of information that logically belongs together. InfoSources manage transaction data and master data (attributes, texts, and hierarchies).InfoSources describe all the information that is available for a business transaction or a type of business transaction (for example, cost center accounting).Transfer structures support the transfer of data in a DataSource between a source system and the SAP BW system to which the source system is connected. 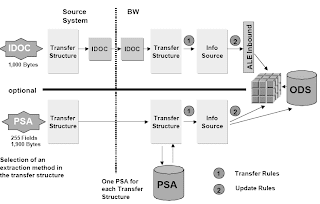 The transfer structure transports the DataSource data from a source system to a SAP BW system. Transfer rules pass the data on to the InfoSource. The communication structure is independent of the source system and is generated from the InfoSource. It is filled from the transfer structure, according to the transfer rules. The communication structure contains all the fields in an InfoSource. This method of extracting and transferring cleansed data in the communication structure is called data staging.Every InfoCube has update rules that determine how data from the communication structure is stored in the InfoCube. data for all InfoCubes, the best way of converting the data into a consistent format is by using the transfer rules. Update rules can be used for InfoCube-specific data conversions. To keep the data in BW consistent, specific methods within the data staging process are required for each data type and each data source. Metadata : Metadata is data about data. It is information that characterizes the data in the data warehouse environment. Master data (SAP interpretation) :Master data is data that remains unchanged over a long period of time. It contains information that is always needed in the same way. In BW, master data is assigned to the characteristics, and can be attributes, texts, or hierarchies. Transaction data :Transaction data is created within an operational environment and updated frequently. Virtually any source of data can be extracted for use in the Business Information Warehouse. You can use IDocs to load the data into a data target (InfoCube) directly. If you choose this method, all of the data is transferred by way of the IDocs. Alternatively, you can load the data into the PSA. With this method, Info-IDocs are sent at the start and end of the extraction process, but the data itself is not sent by IDocs. Data requests to the source system are managed by the Scheduler. The requests are formulated per InfoSource and source system, and differentiate between master and transaction data.There can be different extraction requests with different selection criteria for an InfoSource in one source system. These are known as InfoPackages.A variety of selection criteria can be used to restrict the data that is requested. R/3 job planning distributes InfoPackages or groups of InfoPackages into background processes. This means that you can completely automate the data transfer process, and decide for yourself when and how often to extract data. For example, you might want to use your own factory calendar to schedule data extraction on public holidays, and so on. 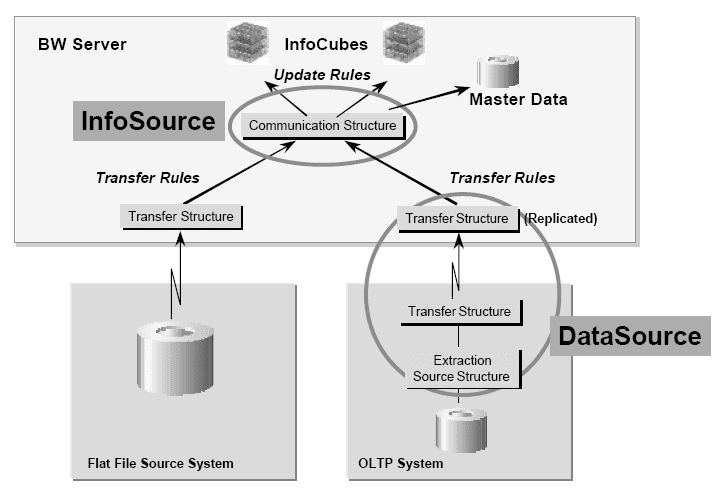 The transaction concept in the Business Information Warehouse includes the retrieval of data from the OLTP, and the successful update of the data in the corresponding InfoCubes.Using the monitoring function in the Administrator Workbench, you monitor the data transfer and the processing of the data that has arrived in BW. You can generate lists per user, per source system, per day, and so on, that contain information on the status of the InfoPackage processing. An overview of the data extraction requests is displayed in the Monitor in a tree structure. In this tree structure, you can display details of the various requests, for example, the current status of a particular request.Any errors that ha ve occurred during the extraction process are logged in the Monitor to help you locate and remove their cause.The Monitor Assistant analyzes the requests, and suggests any corrections that you might need to make.The Monitor Assistant can be run in the background, and notify specified e-mail recipients of problems.A series of different IDocs are required to handle the data transfer. These IDocs make communication and data transfer possible across the system boundaries. Information IDocs and data IDocs are different. You tell them apart by their status. 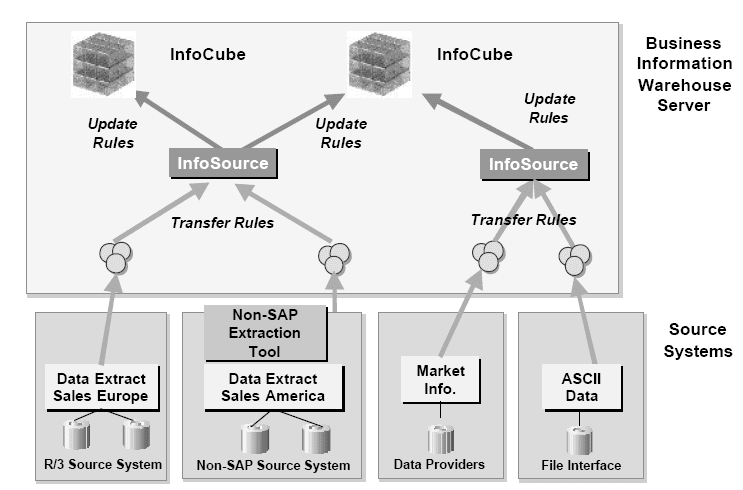 BW Statistics activates an InfoCube, delivered by SAP, containing information on many aspects of system performance. This information is very useful in showing you how the BW system is being used, and if there are any areas that could be improved.One way to improve query performance in BW is to use aggregates. Aggregates are summarized versions of InfoCubes, and are useful in queries involving non-summarized characteristics. 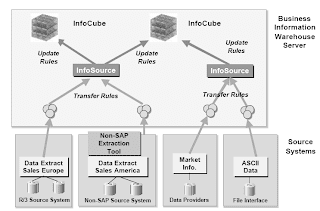 SAP DemoCubes provide demonstration scenarios that have been modeled according to the requirements of different types of company. They contain data from delivered flat files. When you activate a SAP DemoCube, all the required objects are created automatically, and you are able to see the underlying structure in the Administrator Workbench. Once the flat file data has been loaded, analyses can be displayed immediately. You use the tools in the Administrator Workbench to maintain the contents of the InfoCube. When you click with the right mouse-button on an InfoCube, and select Manage InfoCube Contents, you can choose from a selection of analyses that help improve the performance of the InfoCube.